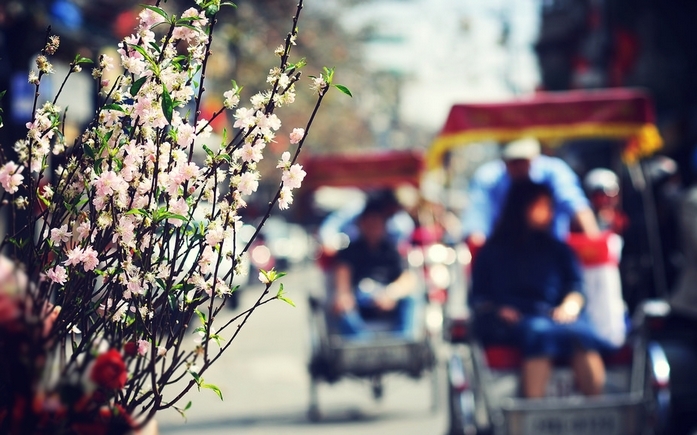 Vietnamese Tet Holiday is the most important festival of the year. In 2018, Vietnamese Tet Holiday will be from 14 February 2018 until 20 February 2018. During this time, all Vietnamese people gather together with their family, visit their relatives and go out for sight seeing. There is no office working on these days, even the Vietnam Immigration Department. So, in order to travel Vietnam during this time, you will need to apply for Vietnam visa on arrival or e-visa at least 1 working day before the festival time. If you didn’t get a visa done before, you may encounter a problem when you board the plane to Vietnam, and of course there is no visa stamp issued at the Immigration Counter. For those who forgot to apply for a visa, they can select the overtime service to get visa done during these days at www.visumvietnamonline.com. You will be requested to pay the extra fee to get a visa approval letter and pick up visa at arrival airport. Please keep in mind that, even the Vietnam Immigration Department will not work on Vietnamese Tet Holiday but the Immigration Counter at the airport still works and you will get a visa stamp as usual on working days. For more information about visa application during Vietnamese Tet Holiday, please contact us via telephone (whatsapp) +84-912-685-141 or email vietnamvisabooking@gmail.com. We assure that you will get a visa to Vietnam on these days if you contact us early enough! What to do if you lost your passport and visa in Vietnam? Who is eligible for Vietnam Work Permit exemption?